As far back as I can possibly reach into my conscious memory, there has been some person in authority warning us of the impending possibility of our earthly expiration. From the preachers in the pulpit to the pols in the public square, there has been no shortage of voices giving us reason to cower under our actual or metaphorical desks. The latest message of an approaching Armageddon is being delivered by Tennessee Senator Bob Corker. And in a rare break with my usual inclination of wanting to shoot the messenger, at this particular crossroad–I actually share the concerns of the courier. As the President prepares for his trip to Asia next month, I question whether or not there is either the capacity or the judgement needed to bring about a peaceful curbing of North Korea’s nuclear ambitions. But ever since the Second World War, we’ve spent trillions of dollars, risked armed conflict, and sacrificed thousands of American lives in order to put limitations on the firepower available to those nations and outside groups that were perceived as threats to our national security. While those policies of containment may have been a necessary evil, one might question why there is not the same resolve or expenditure of resources when it comes to protecting our citizens from those legitimate threats that exist within our own borders. Why is it that our leader’s and legislator’s eagerness to regulate the killing potential of those seemingly unstable and unfriendly types that inhabit our planet tends to always stop at the water’s edge? Perhaps it’s because terrorists and rogue regimes may possess the firepower, but in most instances–they just haven’t yet acquired the lobbying power. While I find the thought of ICBMs in Iran and Nukes in North Korea to be somewhat disheartening, that which brings the most discomfort to my domestic tranquility is the thought of bump stocks in the barnyard and that loose cannon in the West Wing! Personally, the only Loose Cannon that makes the cut in my life is that wonderful IPA from those exceptional brewers at Heavy Seas. A while back an older friend, who had just gone through some serious health problems and was having to face those inevitable questions that trouble all of us–inquired as to the contents of my bucket list. Other than my wish to have spent more time with loved ones that had already passed on, or my unrealistic hopes of getting the definitive photograph of the Loch Ness Monster, or having an actual encounters with alien beings, I realized that for the most part my bucket was empty. 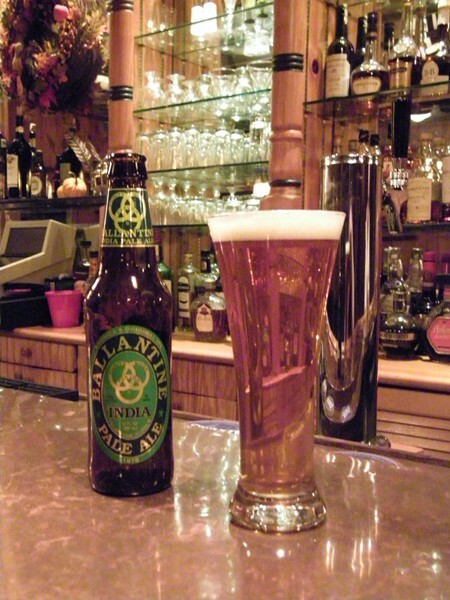 But then I did recall that there was one experience (even though it seemed even less attainable than the alien or lake creature thing) that I had always told people that I wanted to repeat before permanently giving up my allotted space at the bar–and that was to enjoy at least one more encounter with my first true American ale infatuation–the Ballantine IPA! During the past seven plus years of publishing American Public House Review, it seems that whenever beer was the topic of discussion my longings for that superlative pale ale would be exuberantly voiced, and on occasion, as noted below, those passions would find their way into the final draft of an article. So it is with many a heartfelt thanks that I raise my glass to the memory of Peter Ballantine, and those very talented, present day brewers at Pabst whose efforts and expertise have reshaped and resurrected this American classic. Because of you my bucket list is now full–and my recycling bin is overflowing! Is Your Beer Too Cold? We have all seen the commercials for Coors Light. When the illustration of mountains on the label turns blue, your beer is cold enough to drink. Perhaps it’s desirable for that particular brew. There is very little richness or complexity to the flavor of light beer. The temperature might be the only noticeable characteristic about it. A refreshment after a five-mile run in the sun? I can see that; or maybe a deep draught of cooling tonic after a mouthful of three alarm chili, sure. But if you, at the moment, are craving a savory sip of delightful, hoppy bitterness balanced with the fresh, baked bread finish of malted barley, Coors Light might not be the elixir you’re seeking, so cold it’s almost frozen . . . or otherwise. No, we beer aficionados are all about sippin’ and not slammin’. We marvel at the cascade of effervescence as it’s poured into the glass. We praise the creamy, white head of microscopic bubbles which crests into a convex, foamy meniscus above the rim. We lose ourselves in the deep ambers, golds and browns of the liquid and we transcend into a nirvana where live the spirits of grain as we trickle the magic potion across our taste buds. And if the beer is too cold, the whole experience is ruined. They have come up with a brilliant reverse take on modern graphics technology. Well not really reverse, but the effect is designed to be the opposite of Coors. The labels on Weyerbacher craft beer bottles now inform as to when the concoction within is too cold for maximum enjoyment. Beer right out of the fridge or cooler needs a warm up period for the deliciousness to develop. And tell your bartender to keep the frosted glass and give you one from the shelf. Check out the video as Weyerbacher Cellarman Colin Presby demonstrates their new label. And check out American Public House Review as well, the online journal of everything to do with pub culture and enjoyment. This weekend is one of the great gathering days on the calendar in the United States. Families and friends come together and congregate around the television to watch four-plus hours of advertisements, football and halftime shows. Come Sunday the American public will fret over which number they have in the five-dollar-per-square house pool, how many cocktail franks to put in the oven, and which beer to stock the fridge with. The very same thing is also happening over at the White House. (Okay, maybe not the pool) The guest list is set, the invites out, and even the beer is picked. 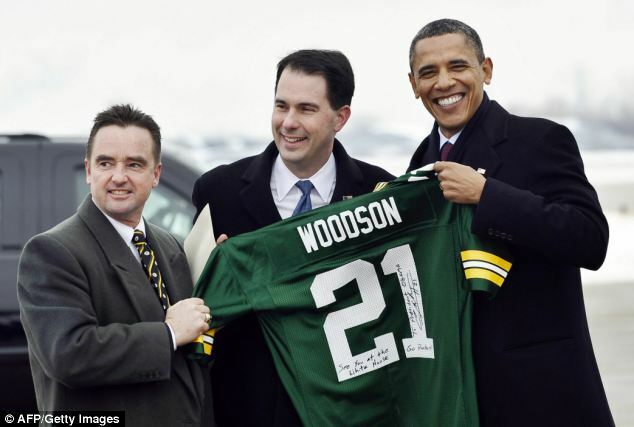 According to reports, the President has chosen a few cases of a Wisconsin beer. Both the Pale Ale and Amber Ale from the Hinterland Brewery in Green Bay have been shipped from the brewhouse directly to the White House. Let’s be honest, being able to have a “few cases” shipped straight from a brewery half-way across the nation to your Super Bowl Party must be high on the list of great presidential perks. Just in case you care, and there is no reason you should, I am going with the President’s apparent pick and taking the Packers. Enjoy the game! As President Obama prepares for this week’s historic healthcare summit at Blair House, there are some slight glimmers of hope beginning to shine through the murky waters of partisanship on the Potomac. One might automatically assume that I was referring to Scott Brown’s part in the filibuster breaking vote by Northeast Republicans in favor of the recent Senate jobs bill. But in fact there is something of much greater consequence coalescing in the congressional currents. 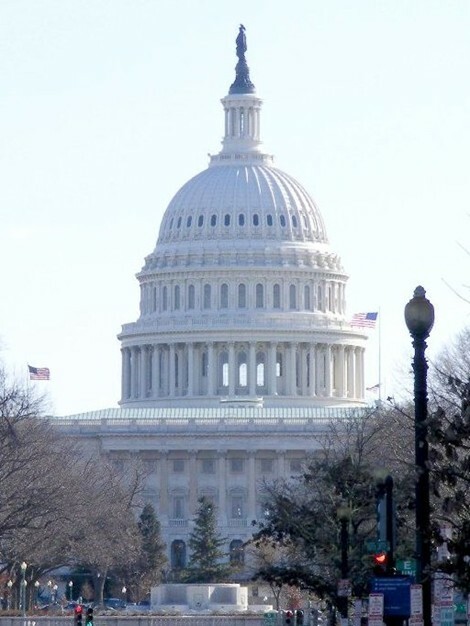 The staff of American Public House Review applaud the decision of New Jersey Republican Congressman Leonard Lance to join the House Small Brewers Caucus, the bipartisan organization founded in 2007, and co-chaired by Peter DeFazio (D-Oregon) and Dennis Rehberg (R-Montana). Furthermore, we wholeheartedly support the Honorable Gentleman from the Garden State in his efforts to roll back the Federal tax on small breweries. Perhaps while the senators are in conference at Blair House, the members of the Brewers Caucus should gather at a more suitable location in order to conduct a serious session on behalf of the American People. I would suggest the historic Postal Square Building, which just by chance happens to house the Capitol City Brewing Company. Because let’s face it – we can solve our gallon sized problems…with pint sized solutions! Would Samuel Adams be the perfect tonic for Presidential summit? Today, CNN gets into the act with another story about what kind of beer the White House staff should serve. I think if you look below you will find some terrific selections already offered by our staff, but the CNN story concerns another angle to this subject that we also covered long before CNN thought to report on it. As I am sure you know, the President has stated a love for Budweiser products. That’s all well and good. But in the midst of trying to defend his status as a natural born citizen, we here at Pub Talk thought he would be best served politically by enjoying something produced by an American company, which Budweiser no longer is. In a letter to Obama dated Wednesday, Massachusetts Rep. Richard Neal strongly urges the president not to drink Budweiser, now owned by a Belgian company. Nor should the White House consider serving Miller or Coors, Neal writes, both owned by a United Kingdom conglomerate. Instead, the White House should serve the three men — all with ties to Massachusetts — the local favorite, not only because of its popularity in the region but also because it remains the largest American-owned and brewed beer, Neal says. Samuel Adams Jim Koch has even offered to brew a special batch just for the occasion. I suppose that is not such a bad idea, but I still think a Hawaiian brew would be the right choice to help settle many of the President’s current political issues…or whatever you call them! By Dave McBride. Follow Dave on Twitter! Can choosing the right beer help White House avoid political nightmare? So you have all heard by now that President Obama plans to meet with Sgt. James Crowley of the Cambridge police department and Professor Henry Louis Gates Jr. of Harvard University at the White House over a couple of beers and hash their problems out…okay, well maybe its intended to stop a media firestorm, but I digress. Either way, the meeting is scheduled for this week and all attention now turns to the details. Over this past weekend, America Public House Review editor Chris Poh offered a most noble of public services by suggesting some brews that might help ease the tension of said meeting. Yes, suggesting they serve Loose Cannon Ale may seem to the White House staff to be, on the surface, somewhat snarky. But perhaps a little humor and self-deprecation should be on the menu. The beer selection for Thursday’s meeting is not known. Crowley prefers Blue Moon beer. Gates likes Beck’s and Red Stripe. The president drinks Budweiser. First of all, I find it hilarious that some reporter actually cared enough to ask Gates and Crowley what beer they like. (I also find it somewhat sad that these same reporters felt their time was best spent asking such a question…) And I suppose taking their tastes into account may be a good way to break the ice. However, there does seem to be a potential political disaster here for President Obama. Doesn’t the president or at least someone in the West Wing realize that Budweiser is no longer an American company? Couldn’t this lead to rumors that Obama was actually born in Belgium and not Honolulu?? Maybe he should switch to one of the fine beers offered by the Kona Brewing Company…just another public service from your friends at the American Public House Review. What Beer Goes Best With Crow? The staff of American Public House Review are well aware of President Obama’s penchant for a good brew. 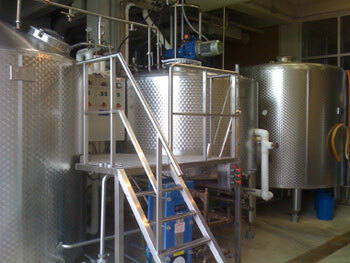 We chronicled that particular predilection during his campaign visit to the Bethlehem Brew Works in 2008. We are pleased to discover that his fondness for the juice of the barley has been incorporated into public policy. The latest beneficiaries of his beer tap diplomacy are Sergeant James Crowley of the Cambridge Police Department and Harvard University professor Henry Louis Gates Jr.. Both gentlemen have been invited to the White House for a beer. The question is which selection of suds will best smooth over the ruffled feathers, and what beer goes best with crow? We suggest beginning the session by serving Thomas Jefferson’s Tavern Ale from Yards Brewing of Philadelphia. What better way to begin any meeting at the White House, than to honor the man whose very words helped to establish the rights and freedoms of this great nation. And with an ABV: of 8.0% one can quickly undo any prevailing tensions. Next we recommend some Loose Cannon Ale from Baltimore’s Clipper City Brewing. This is the perfect mea culpa malt beverage, when one needs to atone for expressing themselves without the benefit of having all the facts. And finally we would close this historic gathering with a pint of Benevolence, a unique variation of a Belgian lambic from the Cambridge Brewing Company. Not only would this properly honor the contributions to the community by both Sergeant Crowley and Professor Gates; but with an ABV: of 12.6%, that which some might be reluctant to forgive – will most certainly be forgotten! Beer and baseball. Can you think of two things in this country that go better together? The two have lived a symbiotic relationship for decades. I grew up a Yankees fan, thanks be to God, and I remember after a homerun Phil Rizzuto would declared it “Miller Time”. In the 1950’s, a giant Ballantine Ale banner adorned centerfield at the big ballpark in the Bronx declaring itself the “Stadium Favorite”. Despite the exorbitant cost, and missing at least a half an inning on line at the concession stand, a game just ain’t a game without a beer. So you can imagine my delight last night as I entered Coca-Cola Park, the home of the AAA Lehigh Valley IronPigs, and while strolling to my seat saw a stand selling beer direct from the Bethlehem BrewWorks. A pint of a delicious red lager, followed by a pint of the Pig Pen Pils, and I was a man enjoying life the way it was meant to be! Minor League baseball does a lot of things well. The tickets are priced right, the games are fun and exciting, and stadiums usually attempt to bring in a bit of the local culture. Whoever decided to go get this beer deserves my thanks and admiration. Forget 2012…the World Can’t End Before 10,759 A.D.
You can forget about Nostradamus, the Bible code, the Mayan calendar 2012 scenario and all that other end times malarkey. The answers to mankind’s future lie not in the written ravings of a Frenchmen or the ancient texts; but can be found in a simple document penned in the city of Dublin in 1759. It was there that Arthur Guinness put his signature on a sacred pact that allowed him to lease the dormant brewery at St. James’s Gate for the next 9000 years. The very funds that made this tenancy possible came to Arthur by way of an inheritance from his Godfather, the Reverend Arthur Price, Archbishop of Cashel. Even someone with a rudimentary understanding of the relationship between Ireland and its clergy would know that this was a covenant between Heaven and Earth, and the terms of that agreement are sacrosanct. Since we now know that the folks at Guinness are releasing a special anniversary stout this spring to mark the 250th year of production at the original brewery, we can calculate that there are approximately 8,750 years left on the lease and that mankind’s stay on planet Earth is good until at least 10,759 A.D. Although, based upon our continued unreasonable behavior, it’s probably not to early to begin to negotiate an extension. Today over 750,000 “pilgrims of the perfect pint” visit St. James’s Gate each year. Recently Madeleine Best Henn, a contributing editor to American Public House Review, visited the Guinness compound in Dublin. Click here to read her account. And for those of you who can’t travel to Ireland for that spot-on pint of Guinness, here is the secret of the perfect pour, courtesy of the pros at Diageo. 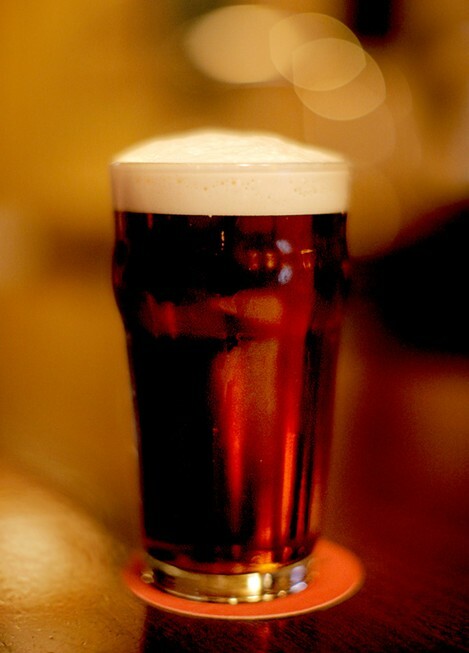 For the perfect pint, tilt the glass to 45 degrees and carefully pour until three-quarters full. Then place the glass on the bar counter and leave to settle. Once the surge has settled to perfection, fill the glass to the brim. This is the legendary Guinness ‘two-part pour’. It takes 119.5 seconds to pour the perfect pint.